All of us know how dangerous the preterm birth is to premature babies. The weight of most of them is around 500g (it is half weight of the bag of sugar or 5 standard chocolate bars!!!). Their systems are not fully built!!! Feeling the closeness of parents has the significant meaning for better growth and recovery of babies. However parents are not able to hold their children close to their body all the time. Our cruel world very often forces them to sort many formal and less formal things out, things they should completely forget about during this difficult period. They need breaks as well, at least short ones. Breaks for food, for drink, to catch their breath and to have as less rest as enough to be able to look after the most important person in their life. And here the octopuses come!! These little toys are to make babies and their parents feel calmer and more safe. Children can play with their tentacles in a similar way they played with the umbilical cord in the mother's womb. At the same time parents can have the little break they deserve, knowing their little precious one's are more safe and calm keeping tentacles in their little hands instead of pulling the tubes and cables out. This charity project first started in Denmark and then extended to Spain, Ukraine and continued in Poland, UK and more recently Austria. We are very happy being aware of the power of our actions. We can help in saving an innocent life that is not able to protect itself, life which is very important to everyone of us and means everything to at least two people who has given it the beginning. Every child gets its own little octopus prepared with particular care and takes it home with them after leaving the hospital. We already helped many families but there still are many of them who need our support. Every day the nightmare of many families begins. Taking a part in this project is available to everyone who wants to help. It is easier than you think. 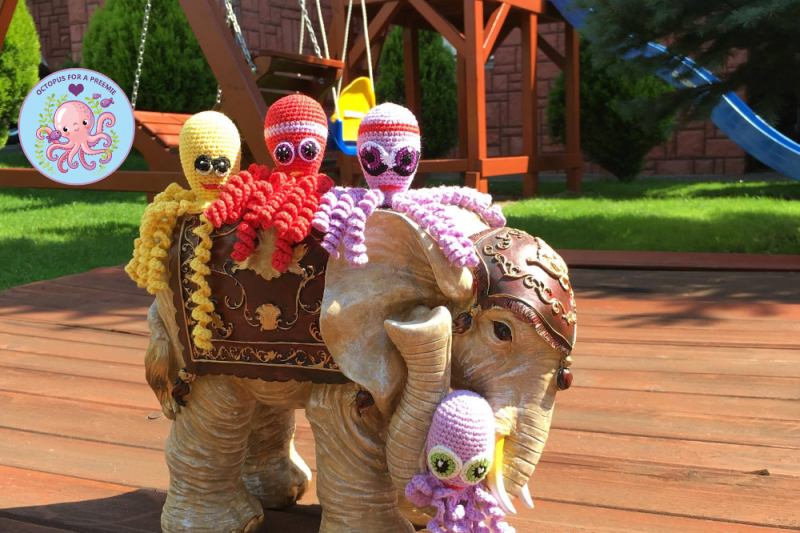 Join us on Facebook, if you can or would like to learn how to crochet the octopuses you can start making them, you can donate funds or appropriate materials as well. All help is welcomed!! These little people deserve it! We are raising money to keep Octopus for a preemie running as we are NON REGISTERED CHARITY we have to fundraise ourselves. The money we raise goes towards buying yarns, cello bags, leaflet etc. 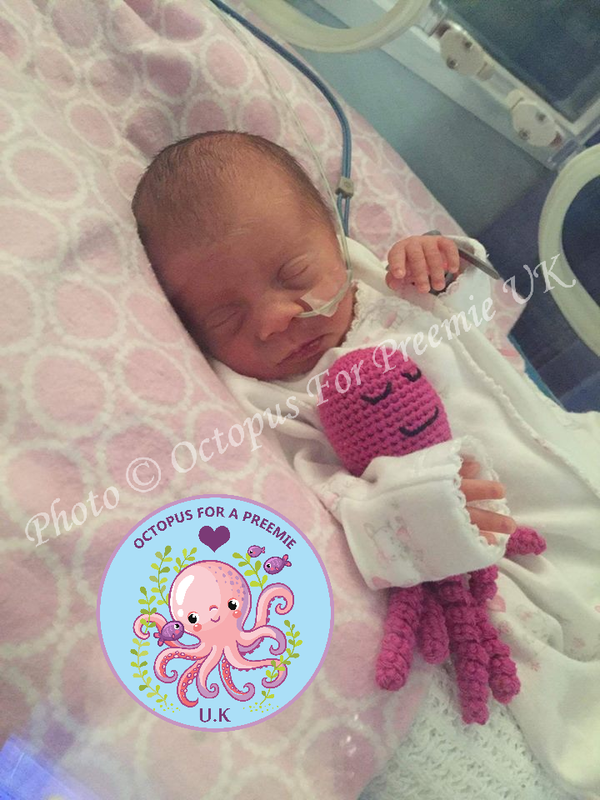 Photos coming to us from parents all over the UK, with their little ones holding on to an octopus is what makes us all know just how important this cause is and what a difference we all make! Thank you so much for all the donations! We're truly grateful and very excited about all of our progress. Couldn't do it without your support!